I think having a strong identity as a human in general is an important thing, to feel like you belong in a certain type of community. For Native people who grew up in the city--and these are themes that work in other communities as well, but this is the one I'm from--just to hear your story or one similar to yours is powerful. It can feel really lonely to be Native but not read or see anything about being Native. It makes you feel like you don't belong, and when you don't feel like you belong anywhere, it creates a lot of problems. It makes it a lot harder to be a strong human being. Have you personally felt that lack of cultural belonging? I think a lot of Native people living now struggle with authenticity. It comes from within the Native world and from outside. If you don't look stereotypically Native, as soon as you tell somebody you are, everybody thinks they have the right to ask you how much, or how you have the right to claim that. That's a really destructive thing to experience, whether it's hearing it from other Native people or from non-Native people. I wanted to expand the range of what it means to be Native and what the Native experience is. Seventy percent of Native people live in cities now, and that's been the case for the past 10 years, if not more, so to have people thinking that what it means to be Native is historical or rural and way outside of mainstream society really isolates you. What is the origin of the title There There? In Everybody's Autobiography by Gertrude Stein [published in 1937], she references Oakland by saying, "There's no there there." She's talking about how where she grew up was all developed over and unrecognizable. 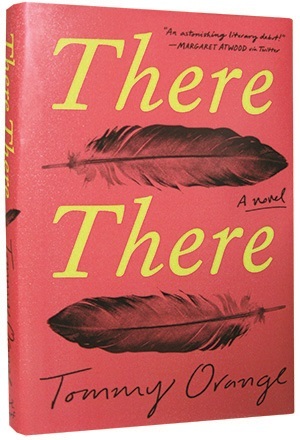 As soon as I found that quote, because I wasn't a Gertrude Stein reader or knew the quote all along, I recognized the parallel to Native people's experience and this idea of there not being a "there there" for the land that was here before and the people that we were. 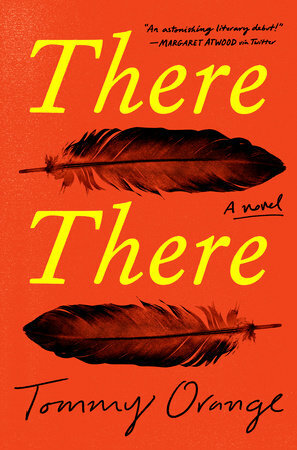 "There there" is also a reference to Oakland and trying to find a way to belong in Oakland as Native people. There are other ways that I tried to use it throughout the book that are subtler, but that was the basic idea that I wanted to dig into. Does the city of Oakland have a large Native American community? The last time I saw numbers, there were 65,000 Native people in the Bay Area, but with any Native community it's all relative because we're a small population in this country for pretty awful reasons. All things considered, it's a strong, vibrant community. To say large, or to say that it's a big community, doesn't feel true, though. I didn't grow up a reader or a writer. I didn't do well in school and wasn't particularly encouraged to read. I was pretty good at sports. I played roller hockey on a national level from the age of 14 to 24 and I became a musician when I was 18. 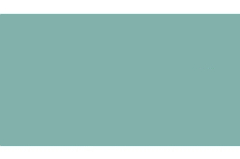 I earned a bachelor's of science in sound arts and after I graduated, I got a job at a used bookstore, Gray Wolf Books, just outside of Oakland, and totally fell in love with reading and then writing. Then I felt like I was playing catch-up. I got pretty obsessive about it and tried to put in as much work as I could from there. 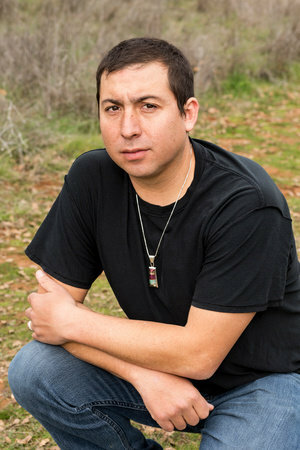 Who are some current Native American authors you admire? 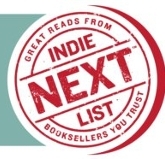 "After wowing readers (former President Barack Obama included) with 2015's Fates and Furies, Lauren Groff returns with a collection of stories just as wise and meticulously constructed. Within the sun-kissed, palmetto-strewn swampland of Groff's Florida, we encounter a pair of abandoned sisters, anxious mothers, and a woman being pushed to the edge. Looking inward and out, Groff examines the lives of her characters with a surveyor's eye, capturing the sense of dread and desire that pervades their existence. Florida is an exploration of time and place, both sensual and terrifying, and seems to me both timely and timeless."